So we had a beer spillage in the brewery. 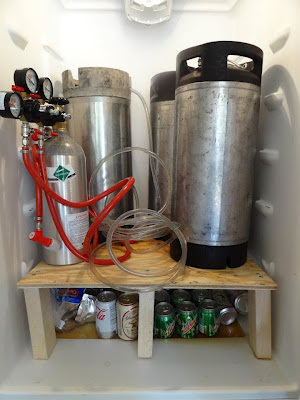 On Tuesday June 26, 2012, I set out to bottle about 18 beers from my Keg of American Pale Ale. Some were going to Competition and the rest was headed off to friends and relatives. I cleaned and sanitized my bottles, and made sure to use new bottles for the competition beers (gotta do everything you can to ensure the best quality beer for a comp). I used my cheap-man's bottle filler (Bottling wand with a stopper shoved into the picnic tap) to fill and cap all 18 beers. "Brett, What did you do? 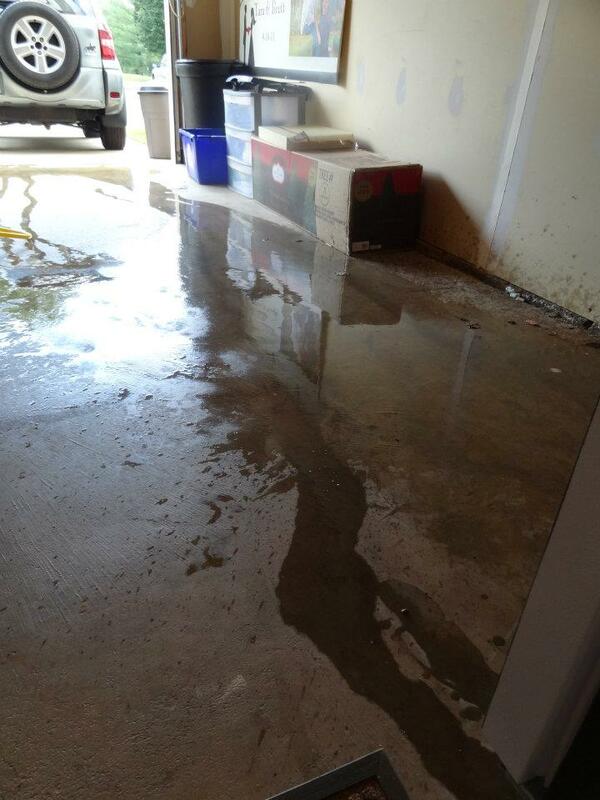 There is beer dripping out from under the garage door....and its everywhere in the garage!!!" I had to diffuse the anger, but more importantly I had to explain to my wife how to find the cause and stop the leak. I was able to explain to her how to shut off the CO2 and disconnect the lines. At this point all that was needed was to clean up the mess and find out how much beer was lost. 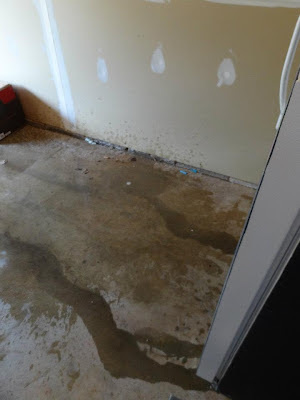 Luckily, my wife took care of the mess - what a wonderful wife she is! I think by the pictures I only lost 6-12 beers thanks to my wife who had come home and caught it in time. Since the incident I have attached velcrow to the inside of the fridge and to my tap lines. I can now secure the lines above, and out of the way of danger. Haha. That was a good one! I like those jokes you've made here. That is a cool way to run your blog.